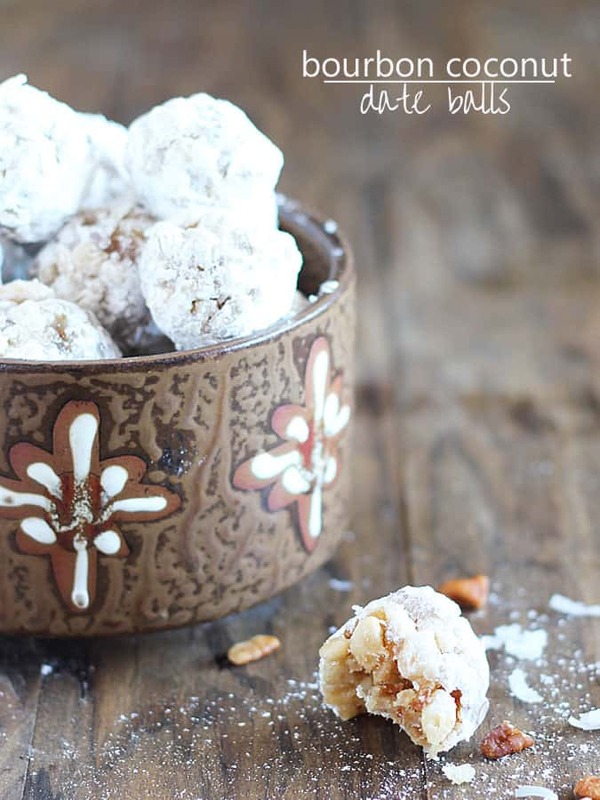 Crispy, chewy, sweet and salty… these Bourbon Coconut Date Balls are the perfect holiday treat! 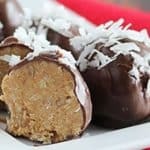 I have a confession to make: Never in my life have I made date balls. NEVER. 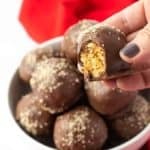 I guess it’s because during the holidays, I’m always making a ton of Chocolate Peanut Butter Balls for everyone. I absolutely LOVE making holiday treats! The original recipe I found called for vanilla extract, but I just happened to glance at a bottle of bourbon sitting on the counter and thought, “why not”? Everything’s better with a little booze, right? 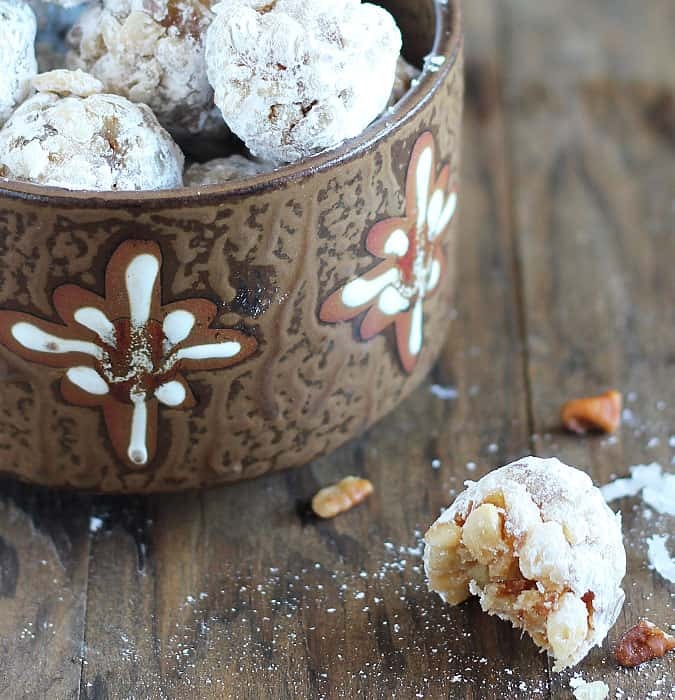 Actually you can only taste just a tiny hint of bourbon in these date balls. Just enough to know it’s there. And if you don’t want to use bourbon, you can substitute with vanilla extract. What’s your favorite treat that you make during the holidays? Melt butter in a large saucepan over medium-low heat. Add sugar, dates and eggs. Cook, stirring constantly until sugar is completely dissolved and mixture is thickened, about 4-5 minutes. Add pecans, bourbon and coconut. Stir well to combine. Add Rice Krispies cereal. Stir well to combine. Remove from heat. When mixture is slightly warm, form into small balls and roll in powdered sugar. 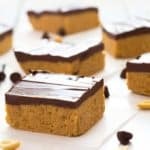 Looks delicious..I MIGHT TRY THEM we will see..Thanks for your receipes! Keep them coming! I hope your best friend is doing well! Woof woof! Recipe for rum balls please. Hey Mike! 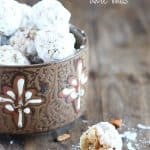 Can you believe I’ve never made rum balls either? I will try to get to work on that… Merry Christmas! These look amazing! 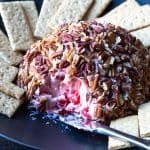 I may have to make these for my holiday party this weekend! Between the dates, almonds, and bourbon I’m sure they’d be a crowd pleaser.